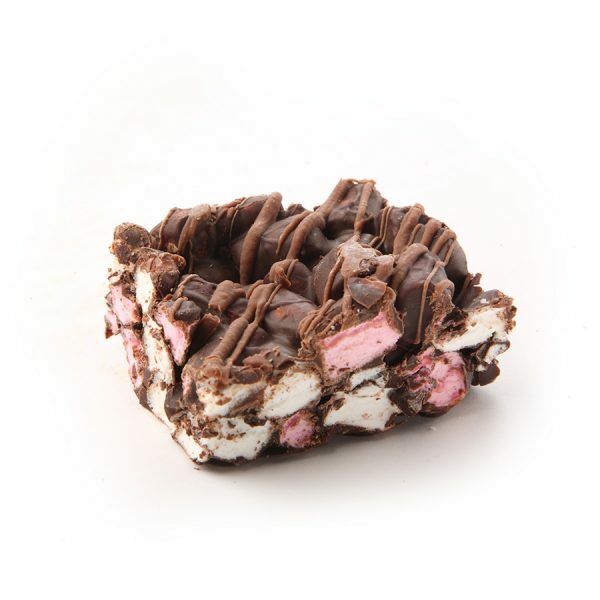 Chocolate marshmallows - home cooked food delivered. Fluffy white and pink mini marshmallows are mixed with top quality milk chocolate before being drizzled with 53% Belgian chocolate. These sinful square will unleash a wonderful combination of tastes and textures upon your taste buds. Or why not stir into some frothy hot milk! Store in an air tight tin once opened. Use within 10 days of purchase.